Apple MQL12LL/A Smart Watch connects to your iPhone via Bluetooth 4.2 and displays notifications, apps, and more on its 1.65" OLED Resolution (312 x 390) display. It can also connect directly to the Internet thanks to 802.11b/g/n Wi-Fi. The internal battery lasts for up to 18 hours of normal use and is recharged with an included inductive magnetic charger. 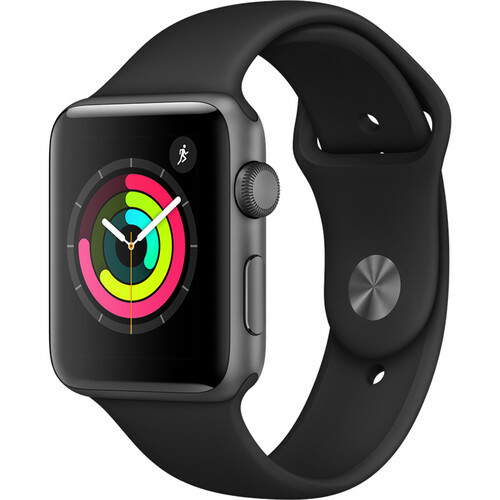 It has 768 MB Ram , 8 GB Storage capacity, Apple S3 Dual-Core CPU,Accelerometer, Altimeter, Barometer, Compass, Gyroscope, Heart Rate, Light Sensor. In additional,Apple Watch senses how much pressure you use when you tap on its face, adding a new dimension to the ways you can interact with it. 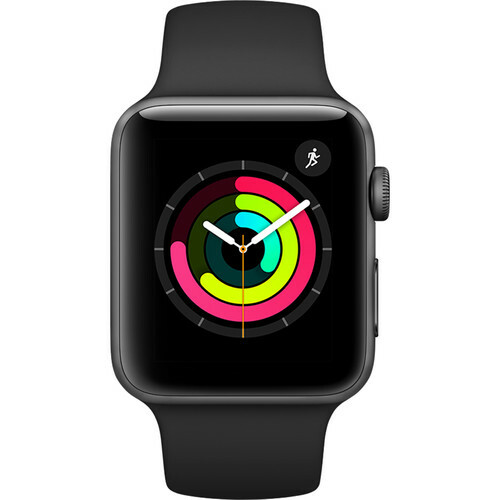 Press firmly to see additional controls, change watch faces, and more.You Can Connect with other Apple Watch with Digital Touch. Users can send drawings with Sketch, gentle tap patterns with Tap, and even your heartbeat.Take a call with your Apple Watch's built-in speakerphone or transfer it to your iPhone.Activating your Apple Watch requires your iCloud Apple ID and password, so your information will stay safe even if your Watch is lost or stolen.